Reinforce your child's second-grade skills with Spectrum Math. With the progressive lessons in this workbook, your child will strengthen skills that include adding and subtracting, identifying components of shapes, and using measurement systems. 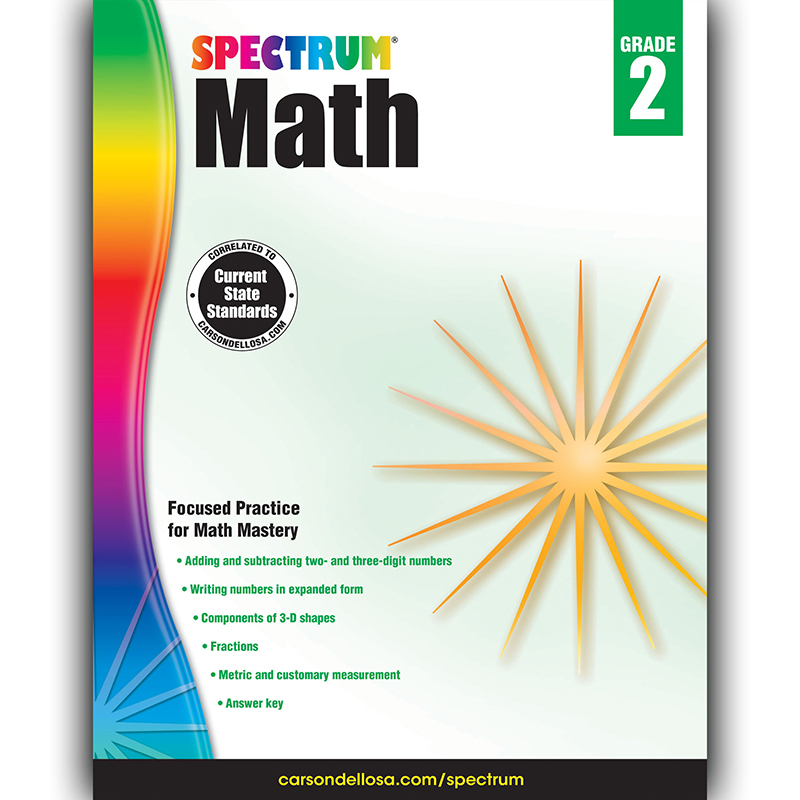 The best-selling Spectrum® Math workbook series provides quality educational activities that build the skills your child needs for math achievement and success. Students in grades K—8 will find lessons and exercises that help them progress through increasingly difficult subject matter. Chapter pretests and posttests, Mid-Tests, and Final Tests, along with complete answer keys, help students track their progress and locate areas for improvement. Aligned to current state standards, Spectrum is your child's path to math mastery. Spectrum, the best-selling workbook series, is proud to provide quality educational materials that support your students' learning achievement and success.